I was sent this fantastic flyer the other day by the lovely Sharon. I thought it was so good that I would share it with you. This is the perfect cheat sheet on how to layer your Dies & Embossing Folders to achieve the best result for your Big Shot. Mind you, it is in the Annual Catalogue, Page 215 & 222 but this flyer is all together which means the Sandwiches are all in the one place. I had a bit of a play with friend of mine the other day & decided that we would play with the great Technique – Background Wash but with a twist! 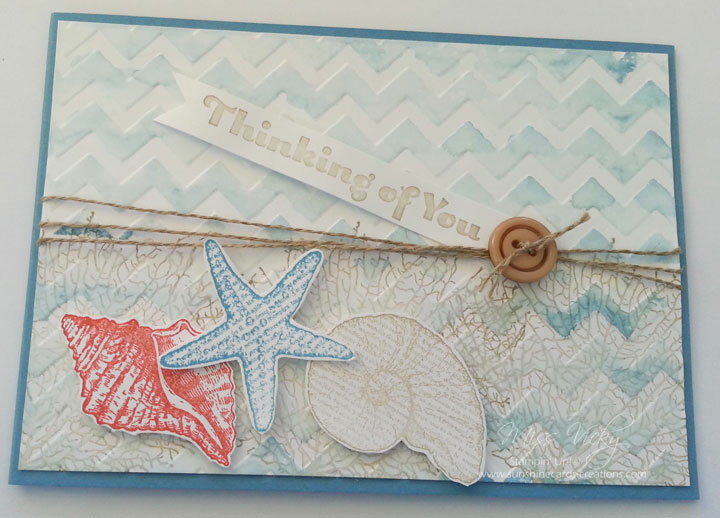 As I hadn’t had a couple of my favourite sets out for awhile, I thought it was time for “By the Seaside” & “By the Tide” left the shelves & were once again used to create a card. Don’t forget, “By the Seashore” will be retiring at the end of the month & will no longer be available. 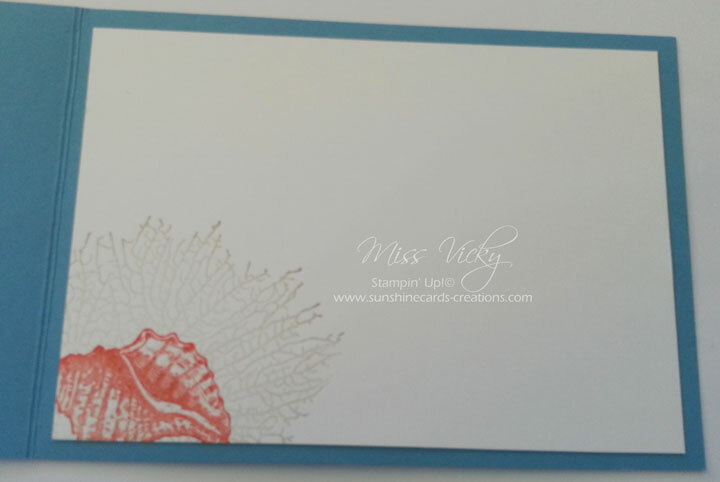 I carried the theme through to the inside of the card by stamping the coral image onto a piece of Whisper White Card in Crumb Cake Ink & then stamped a shell image in Calypso Coral.